INFO: ROCKIN’ FIGHTS 30 is presented by Joe DeGuardia’s Star Boxing. “Rockin Fights” is sponsored by Modell’s Sporting Goods, The Inn at Fox Hollow, Camelot Limousine and 102.3 WBAB. DEADLINE: Please have all of your information filled out and submitted no later than Friday, March 9th, BY 8:00PM. NOTE: REQUESTS MAY NOT BE ABLE TO BE CONSIDERED AFTER particularly since seating is extremely limited at this venue. Any credential issued or authorization granted is the property of STAR BOXING INC., and is valid only for the designated event. The holder of this credential agrees and accepts the following as a condition to this credential being issued. STAR BOXING has issued this credential to the bearer for the sole purpose of providing access for a legitimate working purpose in connection with this event. This credential is valid only for the person to whom it was issued, and is non- transferable. STAR BOXING reserves the right to refuse admission or to eject any person whose conduct is deemed to be disorderly or who fails to comply with these credential conditions. Possession of this credential is a privilege, not a right, and must be surrendered upon request of STAR BOXING. Any secondary, non-editorial or commercial use of any picture, audio, film/tape /digital image or drawing of this event is prohibited without prior specific written authorization from STAR BOXING. Any images that you may have taken in any form (video, still etc) will only be used for your specific publication or news outlet in connection with the event. 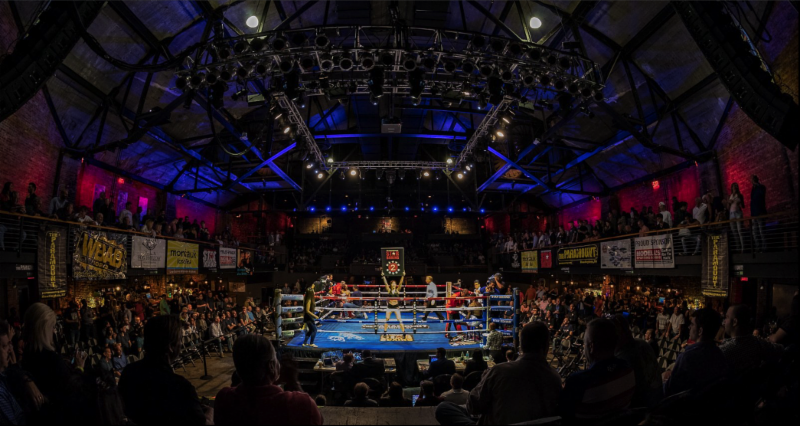 Star Boxing retains all rights in and to the filming, taping recording in any media now or hereafter known, still footage, photography, radio and television broadcasting or reproduction in any manner or form thereof of any Star Boxing event. You assume all risk and danger incidental to this event or performance whether occurring prior to, during, or after said event. The holder of this credential agrees that Star Boxing, or any or their subsidiaries, the designated media right holder, their respective agents and employees or assigns are not responsible nor liable for any injuries occurring before, during, or after this event. No drugs, alcohol, weapons or glass container may be brought into the event.